It’s official. A new style trend has hit the town and is catching up with the fashion conscious individuals of our times. Yes, we are talking about diamond band rings that are finding a special place in everyone’s jewellery collection. They are stylish and in vogue, no matter the seasons or occasions. We can see shades of disbelief on you face. 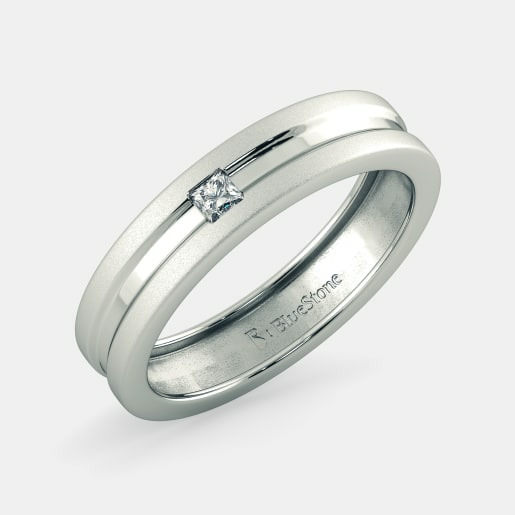 We do not blame you for doubting us when we say diamond band rings are for everyone and for every occasion. 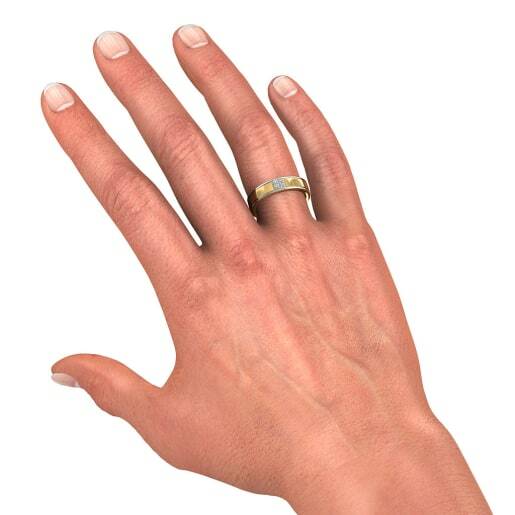 Well, from a traditional point of view diamond band ring designs are all about engagements and men. But we are not any more playing by the book. 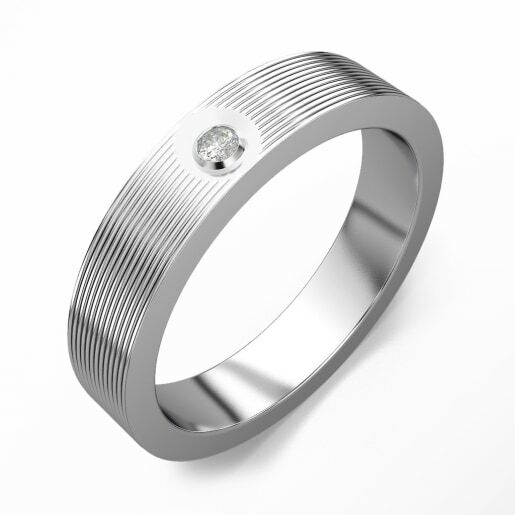 And why should we limit something as wonderful as a diamond band ring to one gender and one occasion? So, are you ready for the latest and greatest in band ring designs? 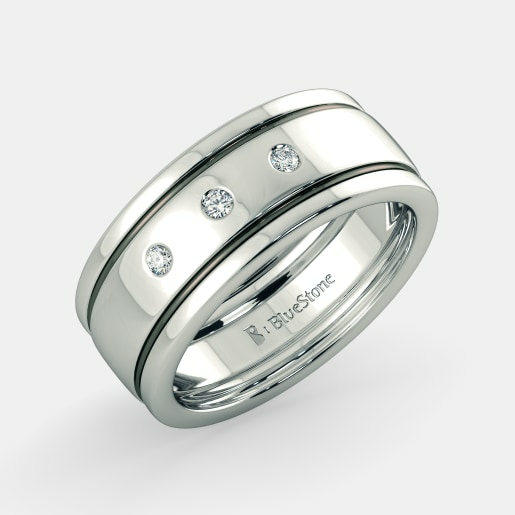 Take a look at BlueStone’s collection and grab everything you like. “I do not know what to wear.” We hear that all the time. Well, we may not be able to help you with your jeans or tie but we can surely help you with your jewellery. 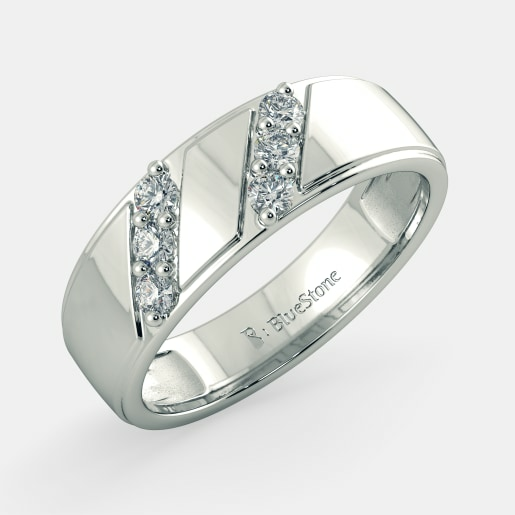 At BlueStone, we have an array of band ring designs that fits for any occasion. When you buy diamond band rings from us, you do not have to worry about the time you spend travelling to a shop because we come to you. 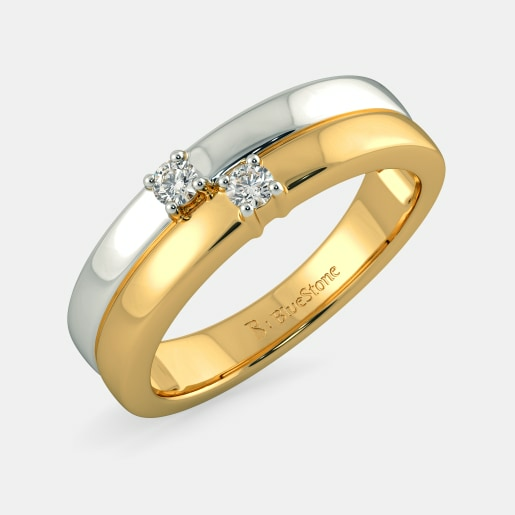 Our store is just a click away and you can buy diamond band rings online anywhere anytime. 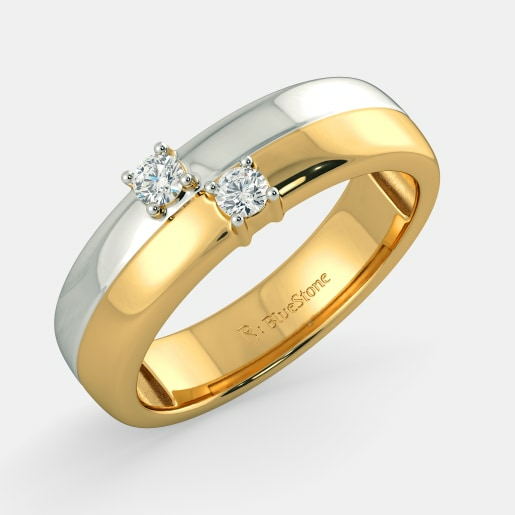 The best part of buying from us is our exclusive deals and diamond band rings prices. We are sure both our prices and our designs will make you happy instantly. Now, let’s not waste any more of your time, let’s explore the range and find out that piece which is destined to be on your finger. 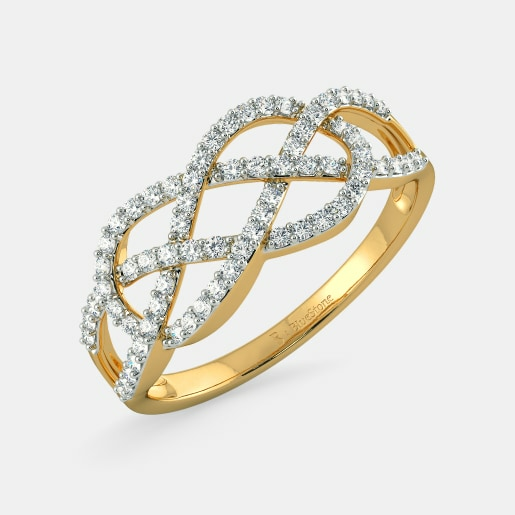 We have compiled a list of trending diamond band rings that are designed for different occasions. Do take a look. We have diamond band ring designs that are designed for the ‘I Do’ occasions. For the white gold lovers, we have pieces such as the Agneiz Ring, the Riam Ring for Him and the Royal and Resolute Ring. These white gold stunners are embellished with dazzling diamonds. The lovers of gold, do not be disappointed for we have an array of diamond band rings made of traditional gold. The popular pieces include the Ezio Ring for Him, the Niamh Ring for Her, the Moonlight Kiss Band and the Clasped Band for Her. 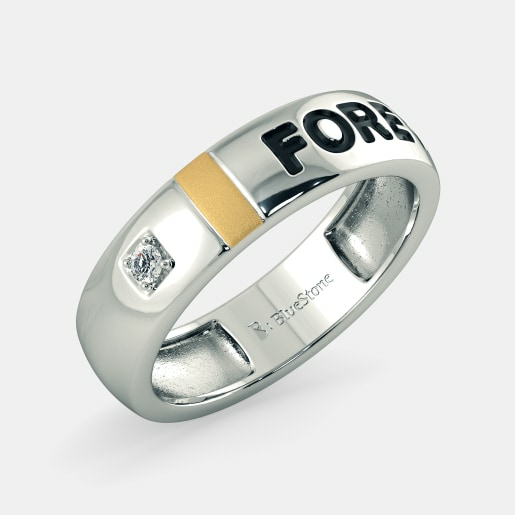 The Dual Sonata Ring for Him is for men who love to keep it cool. There are more two-toned rings. Take your time and go through the range. Are you planning a vacation? 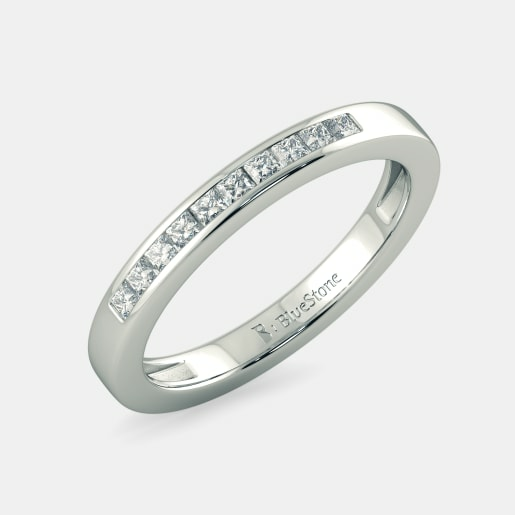 Why not elevate your style with a diamond band ring? We have wonderful pieces that can be a value addition to your vacation jewellery arsenal. Some of the popular pieces in gold include the Serenity Ring, the Divine Trishool Ring for Her, and the Hera Ring for Her. For those who love the sheen of white gold, we have elegantly crafted items such as the Destine Band for Her, the Elie Love Band for Her, and the Ally Band for Her. If parties are the one thing that makes your weekends lively, we suggest you rock the party with a piece from our weekend collection. You can either go for the Darea Band for Her or the Aphaea Ring for Her. 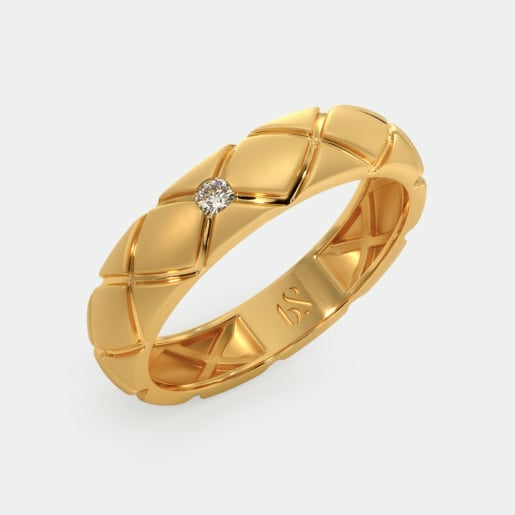 A diamond band ring can be a great gift too. How about gifting your mom the Ema Ring this Mother’s day? 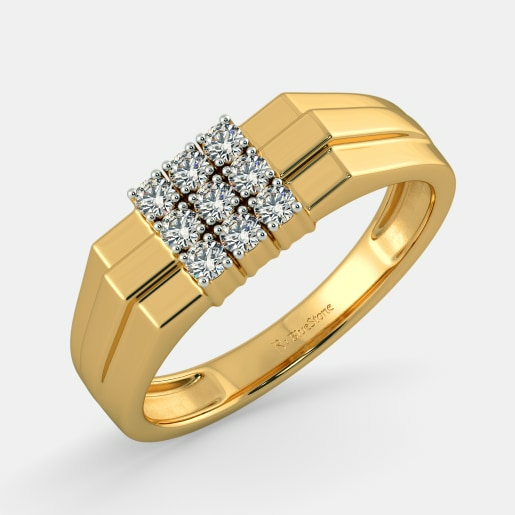 The ring is made of gold and is studded with, yes you guessed it right, sparkling diamonds. 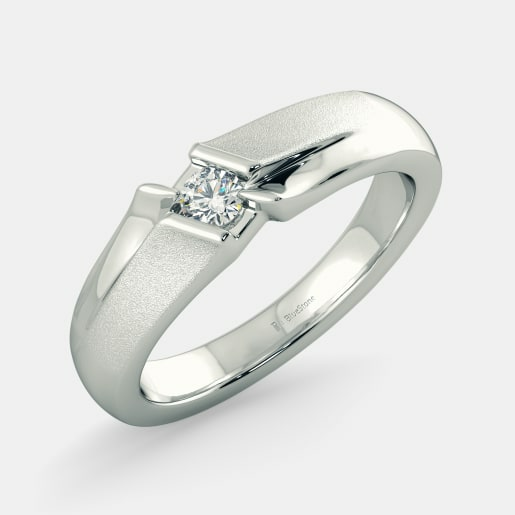 Do you want to surprise your valentine with a diamond band ring? 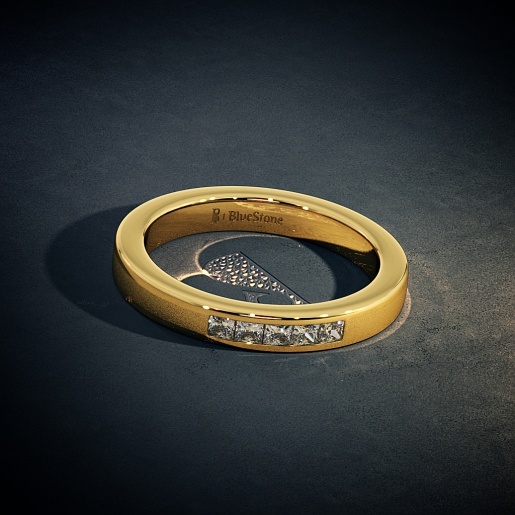 We have an artistically crafted piece - the Profound Love Band for Him which is crafted in 18kt gold and accented with brilliant diamonds. 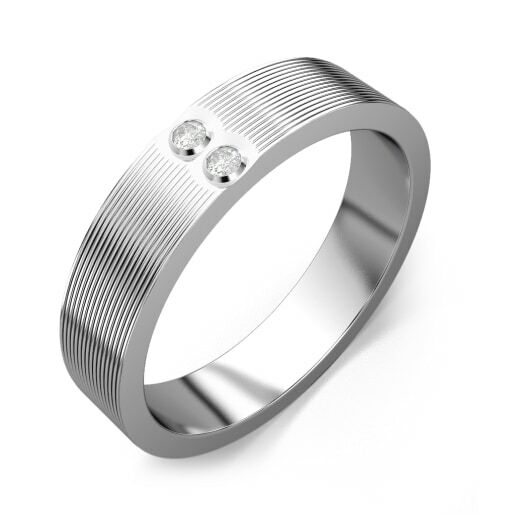 Band rings can be great anniversary gift ideas too. 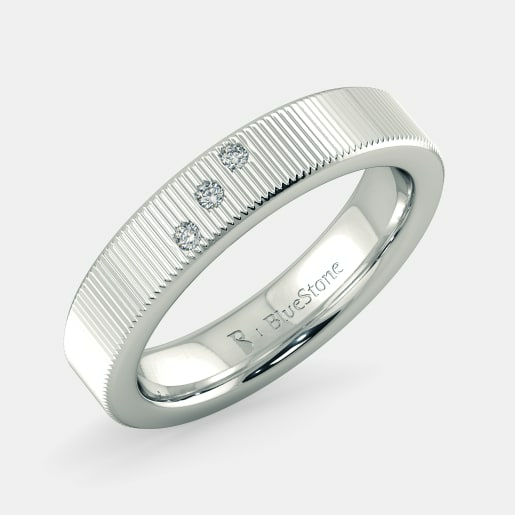 Why not buy the Masterstroke Ring made of white gold for your husband or the Ciara Ring for Her? 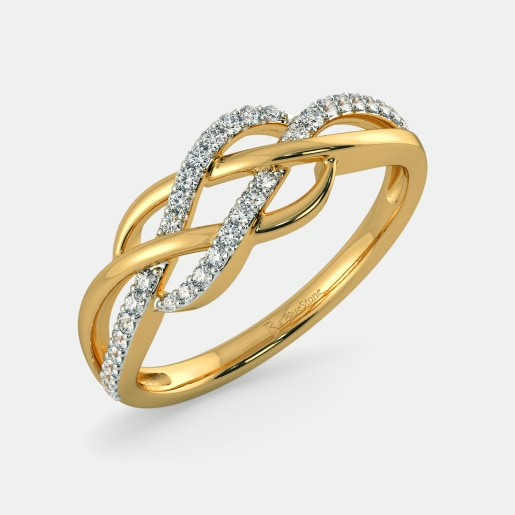 Gift a diamond this anniversary and bring sparkle to your relationship. You have got only a glimpse of what we have in store for you. Make use of the filters, browse through the range and spot a ring that suits your style and occasion. Be sure to opt for our home try-on facility in order to make sure that you have chosen the right piece. Well, if it’s a gift that needs and exchange, worry not. Our return policy is as good as the range. In case you need help let’s know. We are always happy to help you.